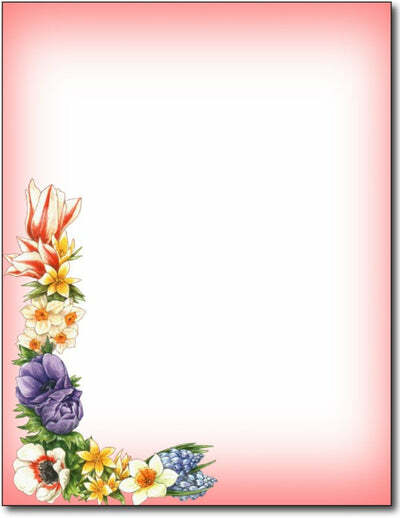 Floral Corner stationery features a variety of beautiful flowers in the lower left corner along a pink background. The flowers compliment the text area to add the perfect amount of style to your text. This floral stationery is perfect for weddings, poems, floral businesses, spring parties, and much more. Our Floral Corner stationery paper measures 8 1/2" x 11" and is made from a high quality 28lb Bond paper stock. Inkjet & Laser printer compatible.